Buckwheat Zydeco's Stanley 'Buckwheat' Dural Jr. Dies At 68 : The Record The international ambassador for Louisiana roots music died early Saturday morning of lung cancer. 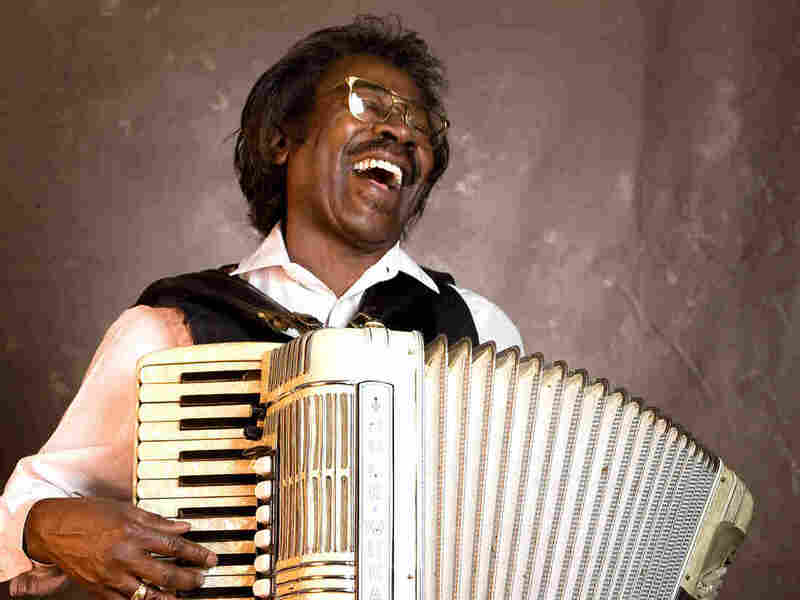 Stanley "Buckwheat" Dural Jr. of Buckwheat Zydeco died Saturday morning from lung cancer. He was 68. Hear Andrew Limbong's remembrance of Stanley "Buckwheat" Dural Jr. at the audio link, and read on for an obituary written by Mark Mobley. Stanley "Buckwheat" Dural Jr., an international ambassador for Louisiana roots music with his genre-leaping band Buckwheat Zydeco, died early Saturday morning. He was 68. Given the easy familiarity of the zydeco sound — accordion, washboard, a driving beat and infectious energy — in everything from pop music to TV commercials, it's sometimes difficult to remember that it was not always instantly recognized outside its home. In 1987, when Island Records, the home of U2, released the Buckwheat Zydeco album On A Night Like This, Dural became the first zydeco artist on a major label. This was just one milestone among decades of them in a career that included a Grammy award and performances at the 1996 Summer Olympics and President Bill Clinton's inaugural festivities. He played with musicians as varied as Eric Clapton, Yo La Tengo and the Boston Pops. Dural, the son of amateur musicians — a singing mother and accordion-playing father — began his career on keyboards. He played R&B and funk until he sat in as organist with the band of one of his father's best friends, Clifton Chenier, "the king of zydeco." "We played for four hours nonstop," Dural told Weekend Edition Saturday host Scott Simon in 2009, "and he was telling people goodnight and I couldn't believe it. And I thought we had just got onstage; that's how much energy he had projected. I wound up staying with Clifton over two years. I said, 'Next band I get, I'll be playing accordion.'" Dural took up the accordion in 1978 and founded Buckwheat Zydeco a year later. In 30 years of touring and recording, he took zydeco to unexpected physical and musical places. From his take on Bob Dylan's "On a Night Like This" for Australian TV in the '80s, to "Hey Joe" on David Letterman's Late Show in the '90s, to the New Orleans Jazz and Heritage Festival in May, Dural was a welcoming presence who made his audiences happy. "If you want to get respect, you've got to give respect," Dural told World Cafe host David Dye in 2009. "You got to be positive. You can't have no like positive-negative, positive-negative ... It's not like a car battery."